As you enter the grounds of this fabulous archeological site you are transported back in time and if you listen really hard you can almost hear the voices of the people shopping in the bazaar or of prayers coming from one of the many temples. Please take time to visit and soak up the atmosphere of this Rajasthani treasure. If you are one of those people that love to get scared then check this out. India has some of the world’s most haunted places. In fact, if you thought that India was a country of many Gods and Goddess then you might in for a surprise. India has a dark and spooky side as well. Indians believe in all sorts of ghosts, ghouls, spirits, black magic and unnatural things. You might wish to read about the types of ghosts believed in India. If are one those travelers who likes to explore haunted places then why not visit the Bhangarh Fort that has the reputation of being one of the most haunted places in India and is listed as one of the most haunted places of the world. Sadly, this place is not the most visited of places in India and neither do foreign tourists know about this place. But the place has a reputation of its own and is considered as India’s “most haunted” place. Whether you believe in ghosts or not, why not check this place out for yourself. 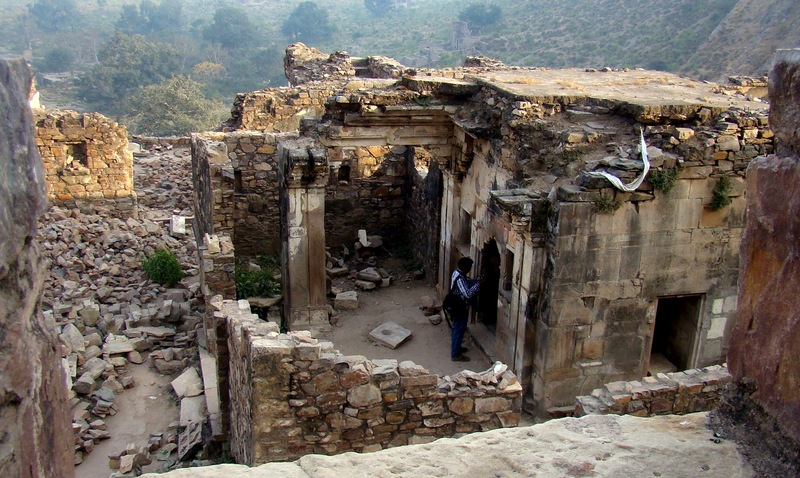 Bhangarh Fort is situated on a hillside in the deserted town of Bhangarh, Rajasthan. 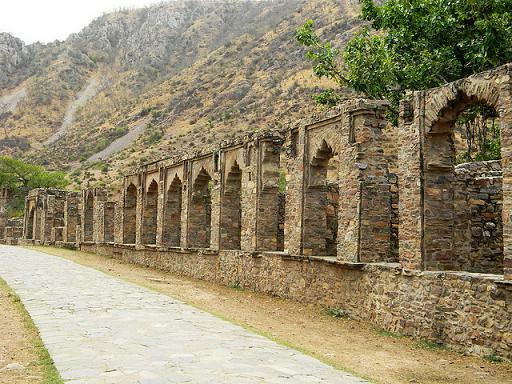 Bhangarh is a ruined town between Jaipur and Alwar in Rajasthan and is located at the edge of Sariska Tiger Reserve. 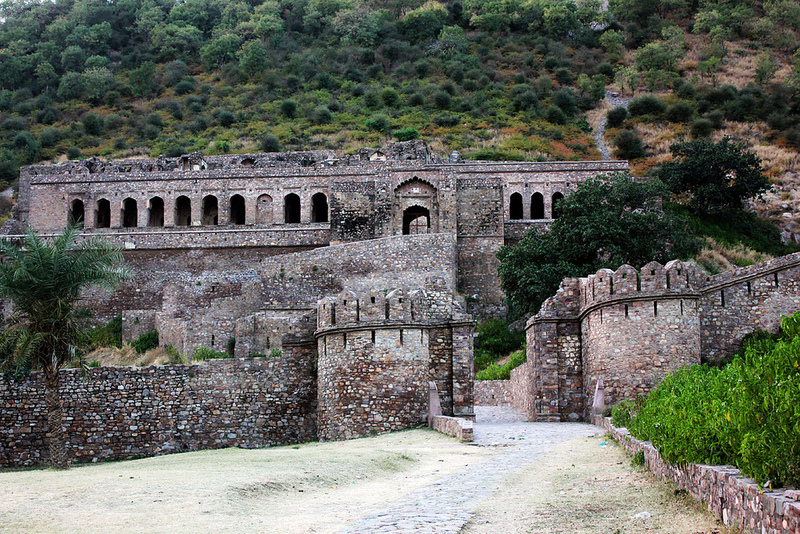 Bhangarh fort is a major tourist attraction and is said to be one of the most haunted sites in the world. Many legends are associated with the haunted folk. It was established in 1613 by King Madho Singh. It might be renowned for its haunted and spooky presence but it can be visited as the place is beautiful and tranquil. Although not old, it is a charming ruin – a fort, some temples and what once was a village with 10,000 people. In part, it looks somewhat like Machu-Picchu. Destinations-You will be picked up from the Hotel and then will be taken to Bhangarh which is located at a distance of around 130 Kms from Jaipur and is one of the most Haunted Place of India.Here entry after 5 PM is strictly denied and its truly an adventurous place for those who love mountain climbing and exploring the Ruins. Later drive to Abhaneri which is one of the Finest Step well of Rajasthan and is beautifully designed and developed.A Must visit place if you are coming to visit Jaipur. In the evening drive back to Jaipur and then you will be dropped at your desired destination. If you will read the signboard of Archaeological Survey Of India then you will get the goosebumps and start wondering that the unusual instructions mentioned by the government are indirectly indicating that the place is haunted as it’s strictly prohibited to visit the fort before sunrise and after sunset,the Kewda and Pandanus trees are forbidden to any kind of harm, shepherds and wood-cutters are not allowed in the region, if you are daring enough to disobey the instructions, then you may face legal action. 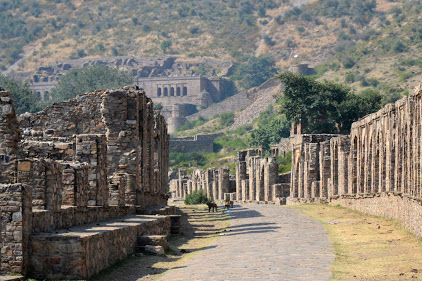 A lot of tourists, who have visited Bhangarh fort say that there is a strange feeling in the atmosphere, which causes anxiety and restlessness. It is also rumored that those who have stayed overnight have not returned hence the signboard by the Government of India. Legend has it that the place was deserted suddenly in a day but so far no evidence has been documented. But the real story is that Ajabgarh (20 km away) and Bhangarh went to war with each other and both the armies of the cities of Ajabgarh and Bhangarh completely destroyed each other and destroyed the cities. 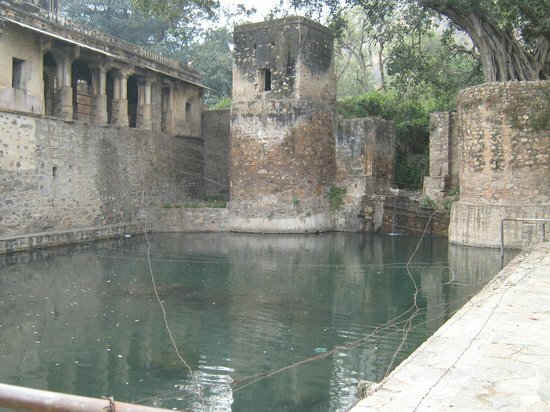 Ajabgarh rehabilitated later while Bhangarh remained uninhabited. One of the other reasons for its downfall could be acclaimed to the famine of 1783. At this time, India was hit by a severe drought due to the El Nino effect that started in 1780. North India was hit by a drought around this time (1840 according to the King Vikramaditya’s lunar calendar). It is thought that about 60% of the people in these parts were killed. Given that Rajasthan is already in scarcity of water, it faced severe decimation of its towns and cities. Those who survived left the place in search of better places to live. So, are you still pondering about a trip to bhangarh, ranked amongst top haunted places in India & Asia? If you think that you are daring enough to challenge the paranormal beings and want to explore this haunted place then pack your bags and plan a visit to Bhangarh Fort in Rajasthan. Tour Ends with some wonderful memories of Jaipur-Bhangarh -and Abhaneri.